Ascribe significance to everything, but only personal significance! Berlin as a city is not simply one among others – it is an exemplary city. I’m moving to Berlin in September. This is a sentence that has elicited a consistent response: Londoners, Brummies, Parisians, Istanbulians, Lisboetas – all declare Berlin to be cool and cheap, crammed with artists and massive apartments. It’s difficult to think of another city that currently provokes such excitement and praise. How did this happen? What does it mean? For obvious reasons, Berlin didn’t use to be the catalyst for such enthusiasm. When Wim Wenders was planning Wings of Desire (ultimately released in 1987) he outlined a prologue in which an endlessly disappointed God turns his back on earth and banishes two dissenting angels to “what was then the worst place in the world: Berlin.” Rubble, division, surveillance, guilt: these were the associations Berlin prompted. Can it really be true, as one friend recently suggested, that these days Prenzlauer Berg is like Stoke Newington? If so, what kind of exemplary status does Berlin now enjoy? That the very fabric of Berlin still contains traces of the city’s catastrophic past is well-known. What remains and what doesn’t, what left a mark and what’s absent – these are some of the questions that Berlin incites and that contemporary architects have attempted to confront in their rebuilding of the city. Norman Foster maintained Red Army graffiti in the refurbished Reichstag, while Daniel Libeskind emphasised disorientation, anxiety and loss in the Jewish Museum. In this respect, Berlin has become the exemplary place to think about modern history and about how history might be visible in a city’s streets, buildings and in the bits left over. In fact, the history of Berlin seems both so exemplary and so unique that it can re-emerge in other, strange locations too: in the Berlin Love Tour staged in Birmingham in May, a guide overlaid commentary on the German capital onto a walk around Brindley Place, Broad Street and Centenary Square. Yet, two recent novels about Berlin seem to want more from the city, and from history, than architectural gestures or urban scars. In Chloe Aridjis’s Book of Clouds (2009), the narrator thinks she sees Hitler, disguised as a woman, on public transport. In Ida Hattemer-Higgins’s The History of History (2011), the protagonist is haunted by visions of Magda Goebbels, often transformed into a bird, while the city’s stone, stucco and steel suddenly morphs into flesh. These strange meetings with historical figures suggest an impatience with all the memorials and museums, the tours, colloquiums and statements of regret. There’s a desire here to encounter the past, and to interact with it, in a bodily form – not via second-hand scraps or dusty remains. In other ways, these novels exemplify the ‘new’ Berlin: they are written by young, cosmopolitan authors (Aridjis was born in New York, grew up in Holland and Mexico, and currently lives in London; Hattemer-Higgins was born in Cincinnati, moved to Japan, India and Sweden, and now lives in Berlin and Moscow) whose lonely and lost characters find some sense of comfort in Berlin’s multiple layers. 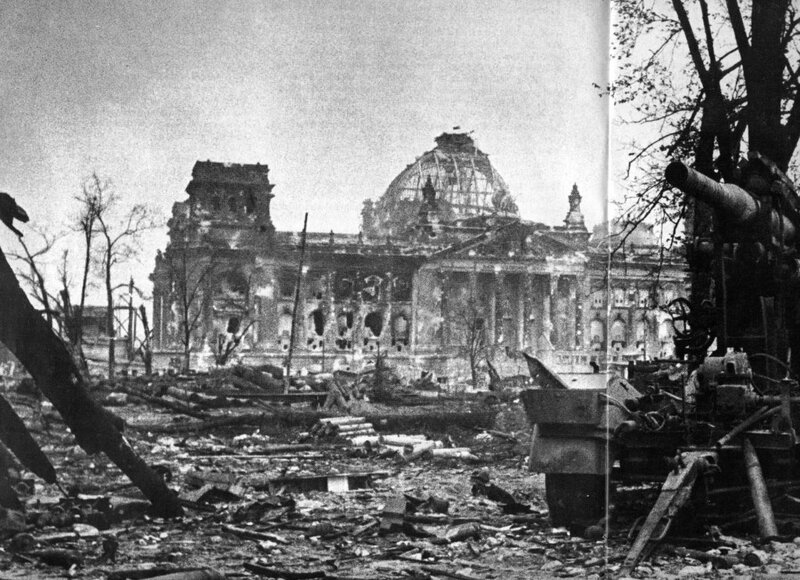 Berlin has a deep personal significance here: it is a broken city fit for broken lives.